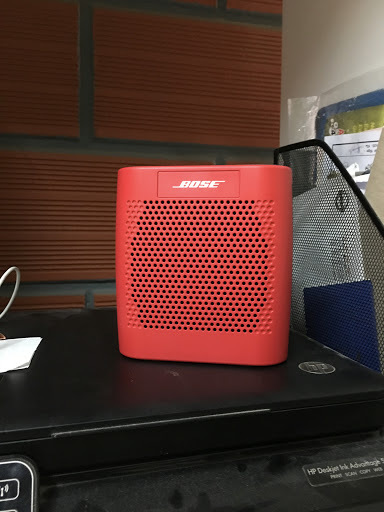 I had the opportunity to get my hands on the Bose Sound Link Color bluetooth speaker. This happened when I was actually wanting to invest on the Harman Aura which in my opinion blew everything else away. But then these two speakers are like comparing apples and oranges and should not be done. 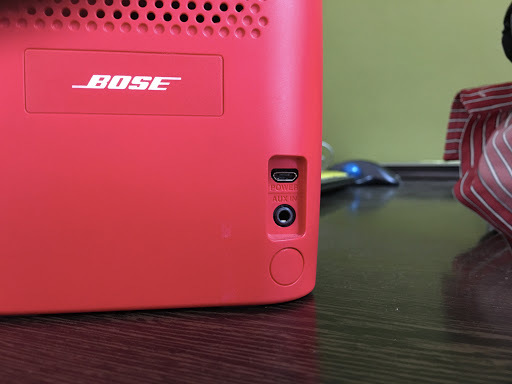 Nevertheless in this post I will speak briefly about the Bose. As the name suggests this speaker comes in different colors and the one I had was a red one for my test. The speaker itself is very portable and easy to handle. It might be slippery at times so its better to take care of it properly. The buttons on the top are neatly placed and are self explanatory. One of the things I liked was that there is a voice guide which says when the bluetooth is ready to pair, when its paired, to which phone its paired, etc. I always feel good when a voice prompt double confirms to me that I am doing things right. Pairing is as easy as 1-2-3 on the iphone. Just power on speaker, power on bluetooth, find the stuff on your iphone and you are good to connect. Thats all there is to it. The Bose would pair to multiple devices but that is a fixed number. The rear has a USB power supply port, and an AUX in port which I believe no one may use it these days much as compared to bluetooth. This is as much as the hardware really offers. The next obvious thing to look at is the sound quality itself. There is really no problem with the sounds. Every sound is separated properly and there is never a distortion even at higher volumes. The base drums kind of sound flat after a point clearly proving that without a woofer, the speakers alone cannot do wonders. The bass is loud at most and not room shattering or deep even. But then the speaker is very portable, runs on charged battery for few hours and these are not there in the Harman Aura. The Aura is an AC powered speaker and thats its drawback. But then its also a more powerful one compared to the soundlink color. It retails for somewhere close to 10000 on Amazon india. 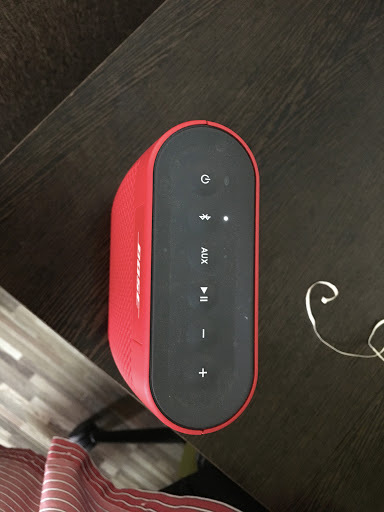 The soundlink II is about 18000, and the Aura is 25000 as of last pricing for Diwali sale. I further listened to different types of songs including old indian classics, classical music, drums, pop, film songs, and theme songs from Spiderman, MI Rogue nation, etc. At any moment the Bose was composed but it really lacked that room shattering depth which was sorely missed by me. The 5.1 Bose systems, or even the soundbar systems with the woofer delivers this depth but then they are all mighty expensive as well. So Will I buy the bose soundlink color? - NO. I may buy the Soundlink II or III after testing them, but something tells me that the Harman Aura is way ahead of bose in the sound rendering and it hits a bulls eye on that aspect. Of course by no means the two can be even considered for a comparision, but it is always good to know what the Aura adds for the price and how it really makes a difference. But then when a person is spending 25000 there are also other speakers available at that price, even 5.1s or soundbar options. Whats your take on this product? Let me know whether you have one, and your opinions on that in the comments section below.